Of all our adventures together, I hesitated to publish this for fear of disclosing information dire to national security and international trade. However, upon hearing that the serial publication, Monthly Wine Writing Challenge (#MWWC6), had chosen “Mystery” for its 6th topic, I could not resist. The following is a faithful account of one of Sherlock Holmes’ greatest cases. We arrived at the crime scene before Scotland Yard. My associate opened the door and we walked into a cavernous space. It was brightly lit, like a stage at London’s Palace Theater. But instead of costumed-actors, brightly colored isles spanned for a seeming eternity. Innumerable produce and products of manufacture filled its shelves. It reminded me of a Sunday market or bazaar but entirely under one roof. I expected him to jump into action, as was his habit. Instead, with arms folded, only his eyes studied the room as we walked. “The telegram explicitly stated it would be here”, he murmured impatiently. We reached the last row. Finally, his whole body snapped into attention. His dark eyes sparkled with mischief beneath a knitted brow. He weaved up and down the shelving unit. Midway, something stopped him. Then Sherlock burst from his bedchamber, newly attired in his dressing gown, and fell into the chaise. “What do you make of it Holmes? What wine is this? 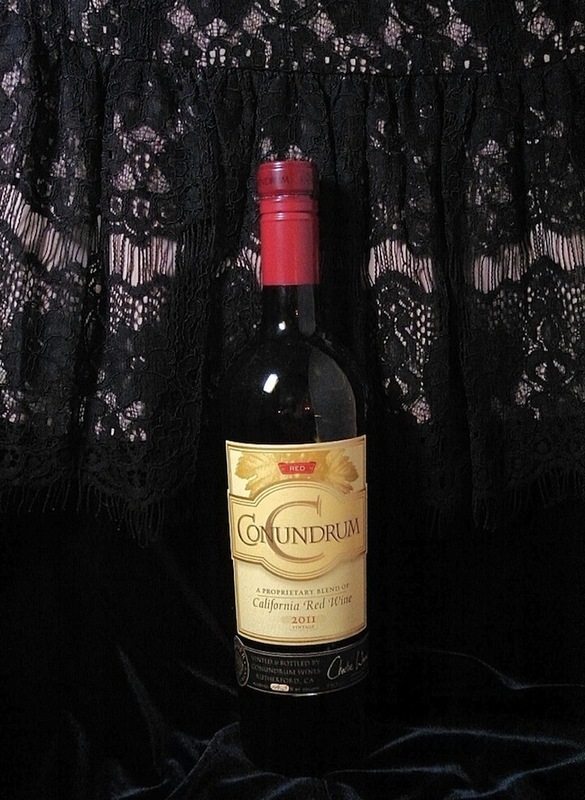 Why Conundrum?” I ejaculated. I cracked open the screw cap and poured two glasses. I then lifted the glass to my lips, when, to my unutterable astonishment, he dashed it to the floor. “Quite right! That intensity derives from ripe fruit and high alcohols only found in grapes from warm climes such as California. 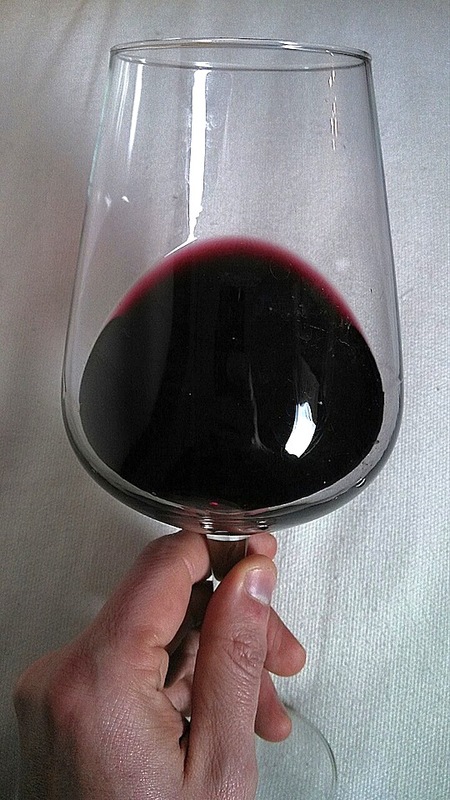 Your many red and black fruits indicate a wide blend. The blackberries are the Petite Sirah, maybe Cabernet. The blueberries: Zinfandel again. The red cherry: Syrah. The cola and tomato: mayhaps an underripe Pinot Noir. Some weeks afterwards, we received a letter of thanks, again unsigned. Holmes, noted the hand of a most august lady, but said no more. We later heard of case shipments to a “B. Palace”. I fancy that I could guess at that lady’s august name. This entry was posted in Uncategorized and tagged California, Charlie Wagner, Conundrum, Durif, Palace Theater, petite Sirah, pinot noir, Sherlock, Sherlock Holmes, United States, Watson, Wine color, Zinfandel. Bookmark the permalink. Transported to a richer time, where perception and observation was paramount. Brilliant. Gripped until the end. Coincidently read straight after watching the latest Cumberbatch episode. Thanks! They will never tell, such a branded, trade secret allows them to blend whatever the heck they want and keep costs down. Well, I’m sure it will come out. The grapes in the white Conundrum are known (except the exact composition, of course), so I’m sure we will learn about the red at some point. Fun read and creative play on the familiar! Thanks! The wine made it happen. It was a challenge to compress long winded-Holmes into a 1,000 word blog post. Quite fun.